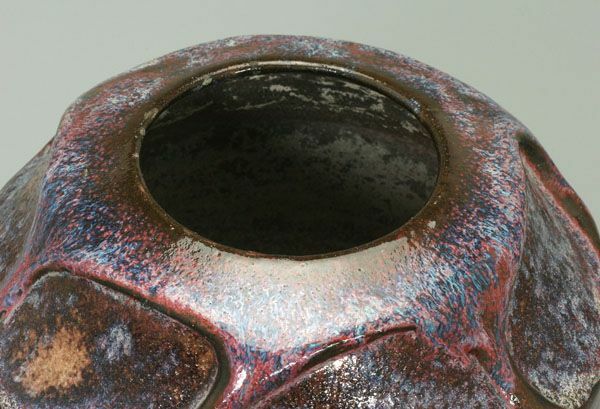 Many of Raoul Lachenal's early ceramics are distinguished by their carved and modeled details; in this piece, however, rounded indentations create a modulated rhythm around the slanted shoulder. 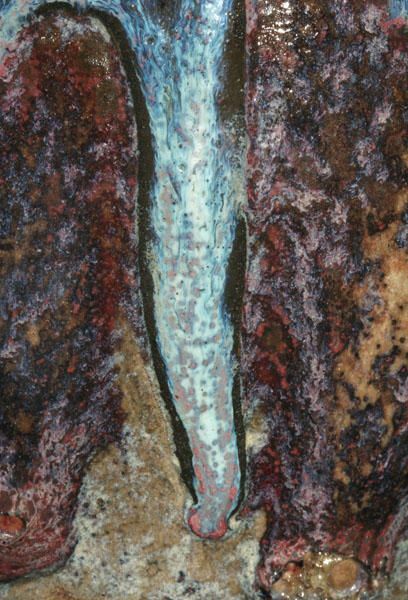 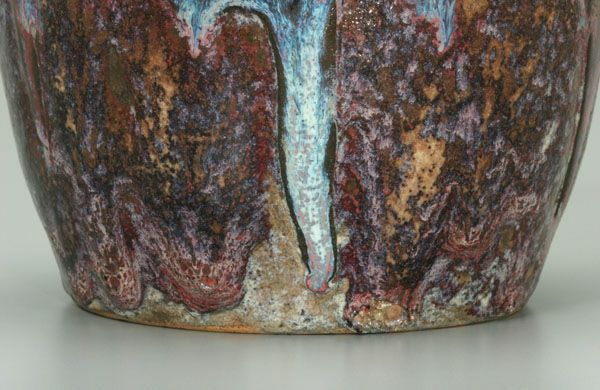 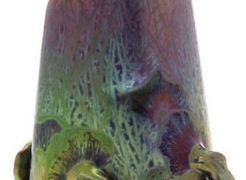 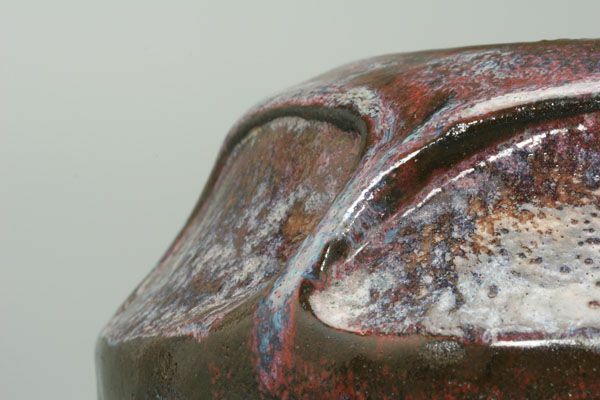 The beautiful reduction glaze with its thick pools and drips is similar in color and texture to contemporaneous stoneware glazes by Edmond Lachenal. 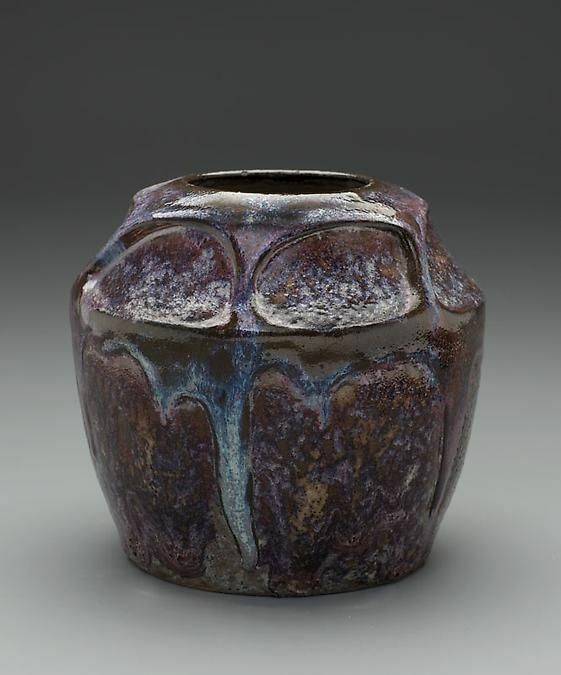 The above example is one-of-a-kind, which indicates that Raoul Lachenal was a practicing studio potter while still making production pieces in his father's atelier. 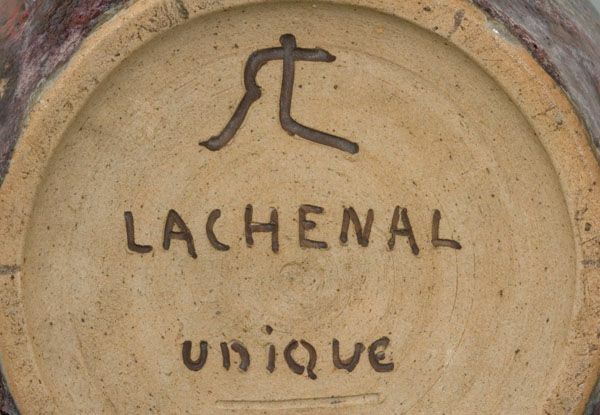 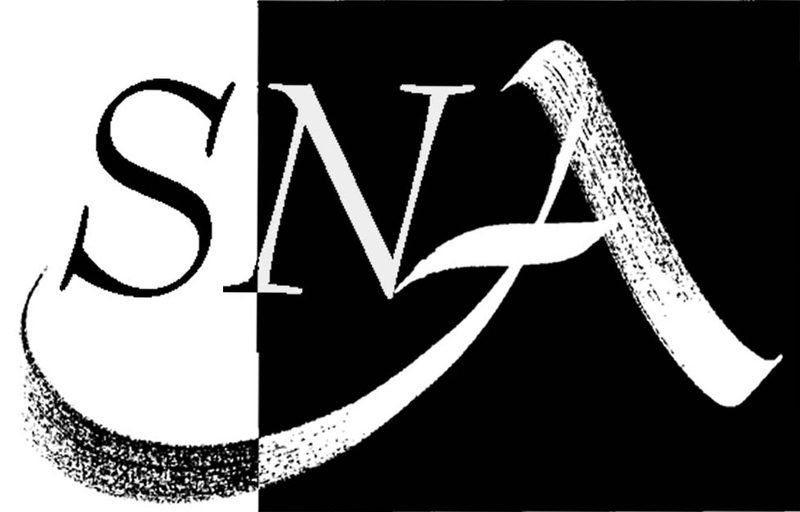 Marks: RL monogram; Lachenal unique [painted].